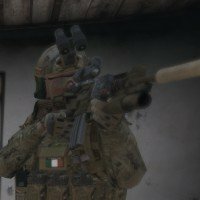 BACKGROUND S Squadron is a multinational ArmA 3 unit that emulates a real world 22 Special Air Service Squadron, offering the opportunity to operate and train as a member of the UKSF, implementing undisclosed tactics, techniques, procedures, as well as modern equipment and vehicles. 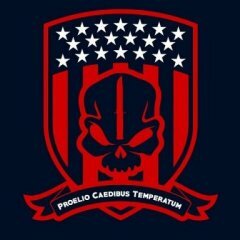 S Squadron was founded by a group of like-minded individuals with years of experience within various milsim and realism units, across different games and platforms. This provides members with an enjoyable team atmosphere and exciting and unique gameplay features, making all training, operations, organisation, equipment and vehicles are as close to the real life counterpart as possible. ABOUT S Squadron is an ArmA 3 multiplayer group which takes pride in its level of immersion and professionalism as well as maintaining the important balance between realism, gameplay and fun. Operations are conducted using multiple methods of insertion including high altitude parachute drops, undercover infiltration, covert underwater insertion, air assault and vehicular insertion utilising heavy weapons platforms. Our exclusive insight allows for a high level of immersion and realism in our training programs as well as during operations. S Squadron conducts dynamic operations, all of which aim to emulate the actions of an SAS Squadron. Missions are created by a highly skilled development team, with expertise in current UKSF operations. The core staff have particular skillsets that assist the daily, weekly and monthly operation of the unit, ranging from mission development and scripting, to custom addon creation and server management. This provides a high quality experience for members who experience fantastic realism gameplay during our private sessions. JOINING Those wanting to join S Squadron will face a scaled down version of the UKSF Selection Course, providing a high level of immersion while implementing game relevant tasks for candidates that will test their abilities. The S Squadron Selection Course is run on set dates, the details of which will be posted on our forums. If you are interested in joining, please check the following requirements to proceed: Over 21 years old Speak and understand fluent English Professional, dedicated and mature attitude Able to attend weekly Tuesday evening (GMT) sessions Decent grasp of basic land navigation techniques Not a member of any other ArmA3 units Own a legal version of ArmA3 and any required DLCs Able to install and update addons without assistance (Play withSIX & manually) Visit our website, Facebook page, or review our information pack for more information. Task Force Black - 145 Recruiting [UK] Task Force Black 145 - Now recruiting! Welcome to Task Force Black - 145. About us: Task Force Black is a Mil-sim unit Based around the UK Special Air Service - G Squadron. 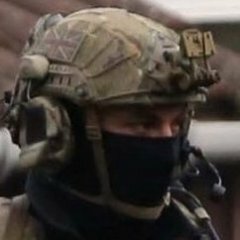 We take inspiration from the UK special forces Group carrying the same name as us - Task Force Black - and perform operations similar to those done by said group. --------------------------------------------------------------------------------------------------------------------------------------- What we do: Our unit prides itself on tackling difficult tasks with speed and efficiency. Our main focus is on direct action against either conventional or guerrilla forces. We deploy ahead of and in conjunction with Conventional NATO forces. Often our operations include: HVT Kill/Capture/Rescue Hostile assest Destruction/Acquisition Long and Short range reconnaissance Hostile strongpoint assault Close quarters combat Undercover operations Intel acquisition And much more. Often our operations require us to perform many tasks, using a variety of different Weapons platforms and equipment like; Drones, Precisions rifles, Diving gear, Parachutes and demolitions equipment. --------------------------------------------------------------------------------------------------------------------------------------- When we play: Main operations - every Saturday starting with a 7:30PM briefing, Endex for operations is usually 10:00PM. These operations are Taken seriously and usually contribute to an overall campaing. This is also a unit members chance to properly apply any training given, or a chance to show their potential in relation to their desired field. Training operations - every Wednesday starting at 8PM, Endex for Training is usually 10PM. This is the time used to train new recruits to TF77 standards, it is also used to train already serving members with specialist skills that they can apply on saturday operations. External exercises - all other days, varying times. Any day not used for official operations is used for either small side operations to help members practice skills, or used for PVP exercises. It's also a members chance to do something a little more fun or silly. --------------------------------------------------------------------------------------------------------------------------------------- Requirments and expectations: Our main focus is to have fun. We aim to provide the best experience possible for our members, however it is expected of members to adhere to certain rules, and maintain certain qualities: Maturity - Our members are expected to have a reasonable level of maturity, they need to know when something should be taken seriously, and need to be able to respect other members. Attendance - Members need to be able to come to as many operations that they can, if they cannot attend, they should notify an NCO. Willingness to learn - This refers to a members ability to improve on areas they are weak in and the ability to adapt to different situations. It also refers to their willingness and enthusiasm to pick up new skills and follow particular routes. Hardware - The member will need a PC that can at least run Arma 3 with several mods smoothly, they will also require a Microphone, Teamspeak and PlayWithSix launcher. --------------------------------------------------------------------------------------------------------------------------------------- Progression through the unit: Once the Candidate has spoken with an NCO or CO, Downloaded the mods and played in a Candidate operation, they will become a Recruit. Recruits will go through a multi-stage training program to teach them infantry and combat skills, Communication and medical, Vehicular and tactical skills, ending with a live fire exercise to demonstrate the Recruit can apply the training appropriately. If a recruit passes the exercise, they will be awarded private, and can begin their path to becoming a specialist such as: Machine gunner AT specialist Marksman Combat medical Technician JTAC Sniper Breacher Sapper Recce operator Sniper Section leader There are many more specialisms to get involved with. A member can also get involved with Mission making, Recruiting or Media for the unit. --------------------------------------------------------------------------------------------------------------------------------------- Getting involved: Visit our website, make an account and post an application: http://taskforceblack.co.uk/portal.php Add Myself or other members on steam. Or get in touch with us on Teamspeak. Teamspeak IP: 83.98.128.31:9990 Have a great day. NAPA = NA.RE.FI. What do you think???????? ?